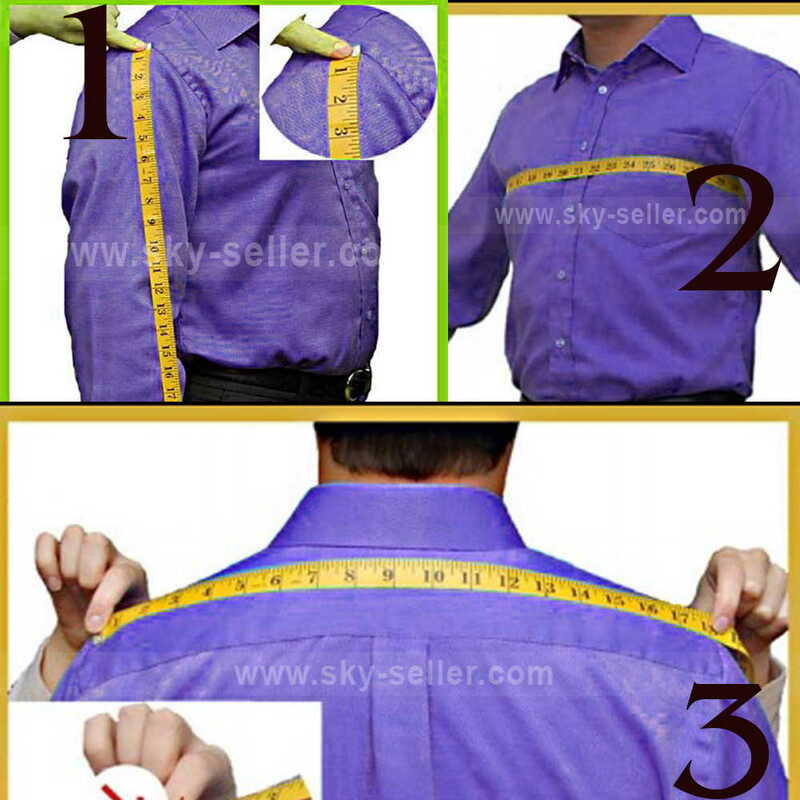 This is the Sky-Seller size chart which helps you in selecting the perfect size for your outfit. These sizes are appropriately mentioned according to the measurement points in a human body for the clothing to fit accurately. If you have trouble in taking up your measurements on the size points mentioned in the size chart, then kindly select your measurements closest to these points and place the order. After placing the order, send your measurements along with your order number at info@sky-seller.com. If you feel the need to order an entirely custom sized outfit, then you first need to place the order by selecting the custom size and then after placing the order, gather your measurements and send them along with your order number at info@sky-seller.com. Feel free to contact us at any time for any other queries or questions you have in mind at info@sky-seller.com. 26 46" 40" 47" 25.5" 18"